Are you a Welsh grassroots football coach that wants to progress on your coaching badges but have been held back by the cost? 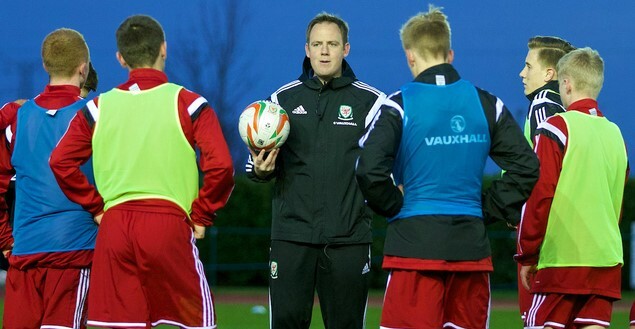 Well, no need to be held back any longer, as a Sport Wales grant scheme can help you get on official Football Association of Wales (FAW) coaching courses for free. The Community Chest grant is available to any FAW-affiliated club in Wales and supports all of the association's Level One and Level Two Coach Education courses, including the FAW 'C' Certificate, Football Leaders, Goalkeepers, Futsal, First Aid and Safeguarding courses. Every sports club across the country can access up to £1,500 every year for initiatives that will help increase participation and improve standards in sport across the country. So if your club is looking to start a new team, buy some much-needed new kit or equipment or, of course, help new or existing coaches to further their coach education, then this funding boost could be just what you need. The Community Chest is provided to all councils to manage from Sport Wales so, once your online application is submitted, your details are passed on to the grants panel at your local council, who provide the funding. To apply for a Community Chest grant or simply find out more, visit sport.wales/communitychest.